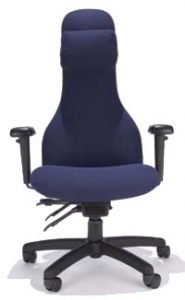 An ESPI Comfort Chair for people who need more comfort in the seating area. 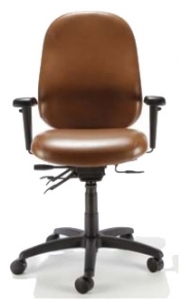 An ESPI High Back Chair for people who prefers the hi back chair with cervical support. An ESPI Manager High Back Task Chair for people under 6 feet tall. An ESPI Petite Chair for people under 5 feet tall. 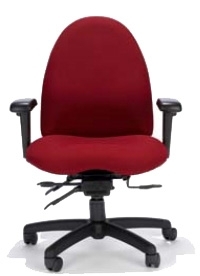 An ESPI Slim & Tall Task Chair for people who are 6 foot 5 or taller. 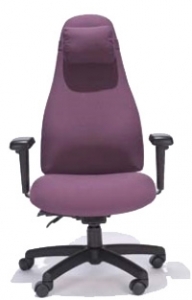 An ESPI High Back Chair for people who needs taller back support, cervical support, and thoracic support. 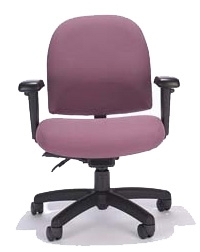 Copyright © Ergonomic Seating & Products Inc. All Rights Reserved.